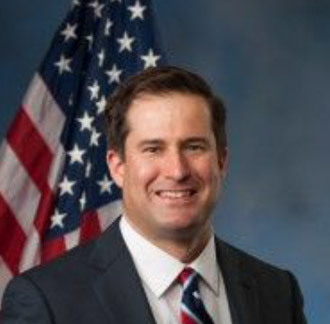 Congressman Seth Moulton was born and raised in the Sixth District of Massachusetts. He attended public schools followed by Phillips Academy Andover and Harvard University with help from scholarships and student loans, which he continues to pay back today. After graduating from Harvard in 2001, Seth was inspired to join the United States Marine Corps by the 18 and 19-year olds who put their lives on the line for our country. He served four tours in Iraq as a Marine Corps infantry officer, including two as an infantry platoon commander and two as a Special Assistant to General David Petraeus. He left the Marines in 2008 with the rank of Captain, attended Harvard Business School and the Kennedy School of Government, and worked in the private sector. Eager to continue serving our country, Seth ran for Congress in 2014 with a promise to bring new, bipartisan leadership to Washington. In his first term, Seth made it a priority to find areas for common ground; nearly 60 percent of all bills he has co-sponsored have bipartisan support. Seth has focused on spurring economic growth for Massachusetts families, ensuring that we make informed decisions about our national security, and improving veterans’ health care through the VA, where he continues to receive his own care. Seth serves on the House Armed Services Committee and Budget Committee.